The Queen Bee has announced she is expecting her first child ! 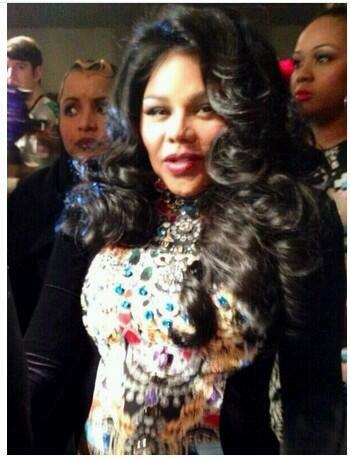 The rapper debuted her baby bump during fashion week at The Blonds NY runway show. She is keeping the identity of the child’s father a secret but in 2013 she was linked to boxer Floyd Mayweather. “I’m so excited! I’m a few months along, I can’t wait to be a mom!” , reports US Weekly. Lil’ Kim took the stage to perform her single ‘Lighters Up’, which she which she dedicated to the late Notorious B.I.G. at The Blonds Fashion Week after-party in New York City on Wednesday night, Feb.12, where she revealed her pregnancy. ” I’m a mom, but I can turn it up a little!” she said, as she rubbed her belly, she tells the magazine.